As a country, Australia is famous for its patchwork of varied landscapes and breath-taking natural scenery. That’s why the best way to explore this vast and beautiful island is by train – and when it comes to rail travel, it doesn’t get much better than The Overland. To book this train please complete a Journey Request Form, you will receive an answer from one of our Rail Specialists within 48 hours. Alternatively please feel free to contact us via phone or email. Over 100 years ago, The Overland pioneered inter-capital rail travel between two of Australia's most cosmopolitan cities, Melbourne and Adelaide. Today, the historic train continues to provide a convenient and comfortable way to travel between these two cities. The Overland offers a daylight service between Adelaide, the gateway to many of Australia's best wine producing regions, including Barossa Valley, Clare Valley and McLaren Vale, and Melbourne, home to many international sporting events, outstanding shopping and entertainment. The Overland travels three times a week in either direction: Monday, Wednesday and Friday from Adelaide to Melbourne and Tuesday, Thursday and Saturday from Melbourne to Adelaide. 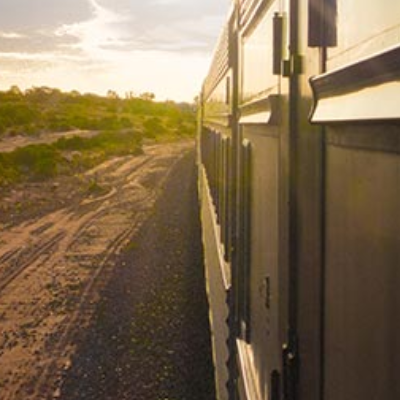 The Overland provides connections in Adelaide with the Indian Pacific, allowing a trans-continental journey from Perth to Sydney and vice versa, and also with The Ghan to and from Alice Springs and Darwin. If The Overland isn’t for you, don’t forget that we offer plenty of alternative tickets and passes. On our Rail Tickets page you can book individual train tickets for specific destinations and dates. On our Rail Passes page, you can learn more about other fantastic multi-journey tickets within Australia, such as the Queensland Coastal Pass and the Discovery Pass.